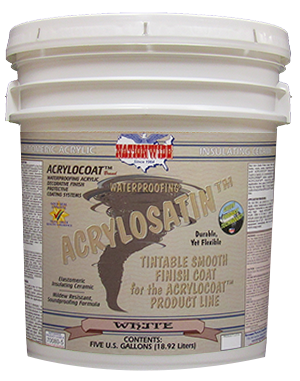 Satin Finish Coating, Smooth Elastomeric | Nationwide Coatings Inc.
WHAT IS ACRYLOSATIN™ SMOOTH ELASTOMERIC CERAMIC SATIN FINISH COATING? Weight per Gallon: 11.0 lbs. Elastomeric Waterproofing Insulating Ceramic Sand Texture Coating. 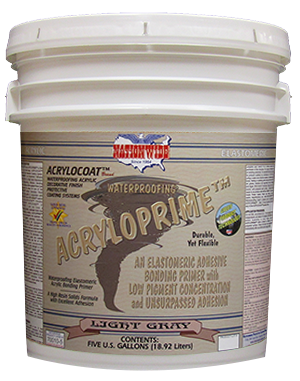 Spray or Roll Application. 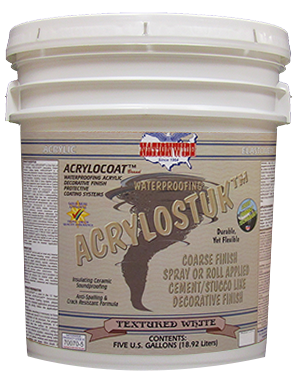 ACRYLOSEAL™ or ACRYLOSATIN™ for Finish Coat.